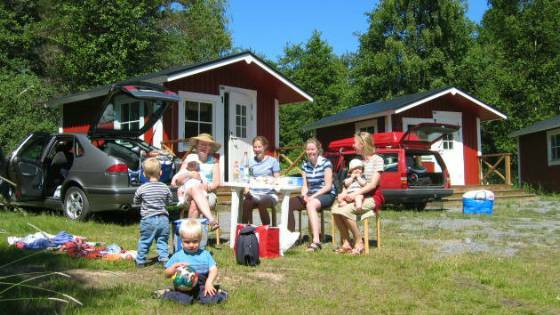 The campsite is situated in Riddersholm Nature Reserve in the middle of the Roslagen archipelago, consisting of a stunning coastal scenery with many rare plants and animals. You can enjoy all this on our 20 km of trails. 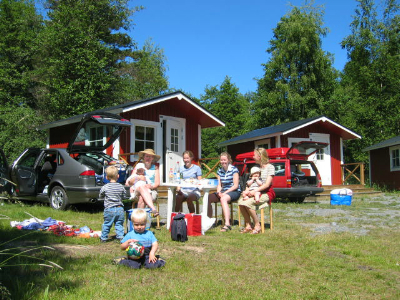 You can also experience the sea or the landscape around the camping by boat, canoe or bike, available for renting at the campsite. There are a lot of activities such as an adventure park, trampoline, boules court, football, volleyball and badminton, sandbox, swings and play materials, etc. 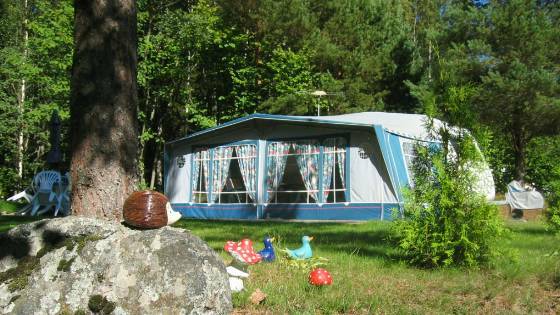 Kapellskärs camping has a total of 56 caravan pitches with electricity,15 tent pitches as well as 12 cabins. Kiosk, two service buildings, laundry room, and mini golf. 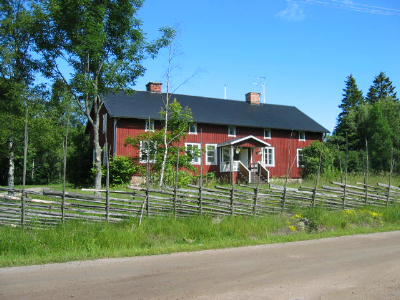 3 larger cottages with kitchenette, 2 disabled-friendly cottages. 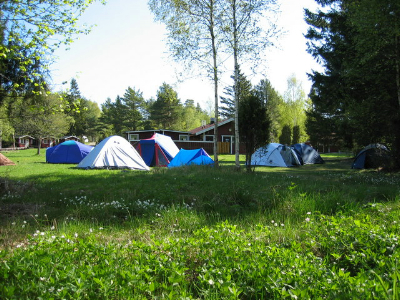 Kapellskärs Camping has caravan pitches with electricity and tent pitches. There is a kiosk, two service buildings, laundry room, playground, trampoline, and a 9-hole golf course on the grounds. 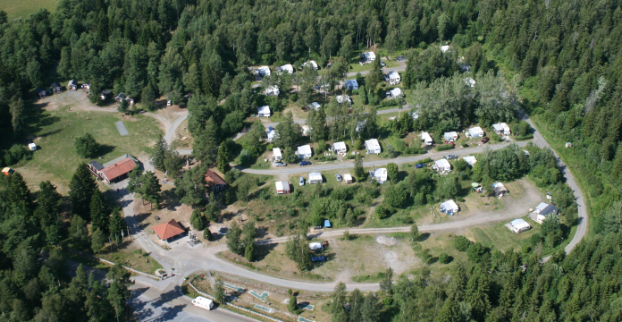 The campsite is located approx 800 metres from the sea. In the youth hostel there are rooms with 2-6 beds. Two rooms are for guests with pets and one room is suitable for disabled guests. A self-catering kitchen and two dining rooms as well as a large assembly hall on the upper floor give everyone an opportunity to cook and plenty of space if the weather, contrary to expectations, should be inclement. 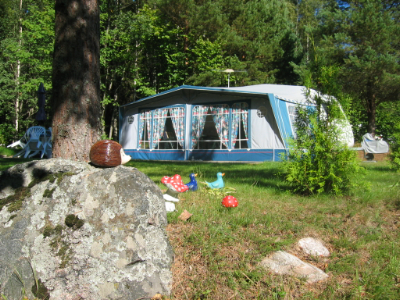 There are 12 basic, 10-16 m² overnight cottages with 4 beds in each, at Kapellskärs Camping. Three of the cottages are slightly larger (16 m²) and have kitchenette and fold-away top bunks, perfect for a couple who want to sleep in the bottom bunk. 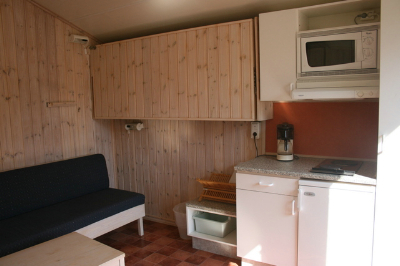 The other cottages are 10 m² and have two bunk beds in each. Fridge available in most cottages.